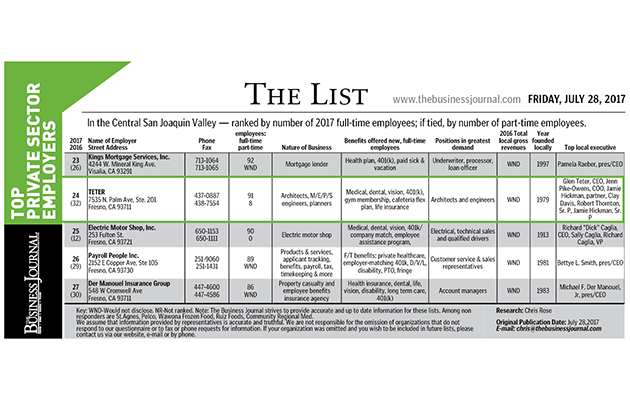 TETER is proud to see our recent growth reflected in The Business Journal’s 2017 list of Top Private Sector Employers. TETER jumped from 32nd largest Private Sector Employer in 2016, to 24th largest in 2017. Providing career opportunities to local architects, engineers and a wide range of professionals is part of TETER’s commitment to Building a Better Valley.